I would say both are false. But then I started out on analogue equipment, so I may know too much. Pro Tools LE 7.4cs10, Windows XP Home SP3, AMD Phenom II 1045T Processor, Digi 002 rack , Command 8, Behringer ADA 8000, Tascam M-320B Mixer, Alesis Monitor Two Speakers, Vintage and Modern Tube Amps, Fender American Strat, 1973 Gibson SB-450 Bass, Epiphone Les Paul Traditional Pro, Roland W-30 Keyboard, Preimier XPK Fusion Drum Kit. Proximity effect happens at the microphone(regardless of analog or digital recording). 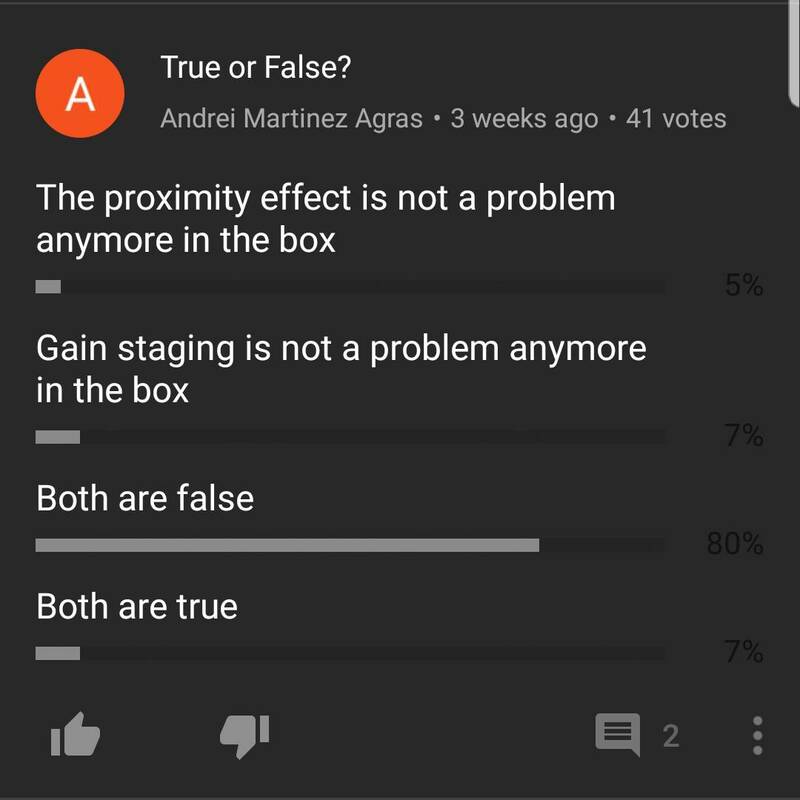 But also consider, proximity effect can be a problem, or it can be a blessing. It depends on how its used(and was it on purpose or by accident). Gain Staging is absolutely still important, although somewhat different, especially when it comes to recording levels. (There is no reason to "slam" the input meters in any DAW because you have no tape noise to be concerned with). Both are false... recording one ADR session will prove it. IME both false. I could be wrong, but I'm positive. However I welcome anyone who's willing to convince me otherwise, I'm here to learn. Before this thread go on I want to say that I believe the second is true... However I welcome anyone who's willing to convince me otherwise, I'm here to learn. Gain staging is supremely important because it begins at the preamp. Send your session off to a top tier mixer and you're going hear about it if he has to bring relative gains into the ballpark before he even begins mixing. Proper gain staging of all the elements in the mix from start to finish makes everyone's job so much easier. I have to make more clear that I'm talking about audio when its been already converted to digital (hence the "in the box in the original poll). Preamp is still analog. If you're going to narrow the scope like that, your argument becomes moot because gain staging begins at the pre amp and if you negate the analog side, you're not talking about gain staging. All you want to argue about is digital headroom without loss of resolution.